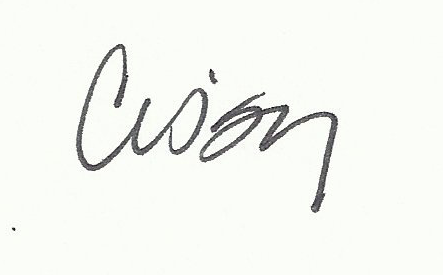 Attention Classes of 1974, 1979, 1984, 1989, 1994, 1999, 2004, 2009, 2014. If you are planning your reunion and would like help spreading the word, please send your contact information to Dwallace@ssacad.org . We are always happy to assist in providing your class lists, email addresses and any other support you may need. 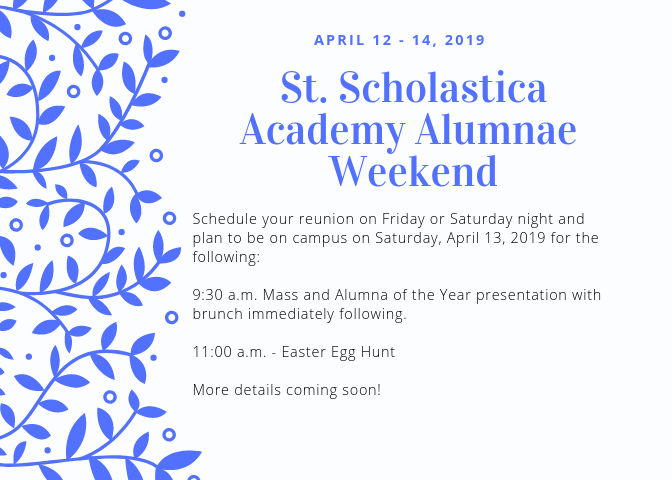 If you are starting your reunion planning, think about hosting it during our first Alumnae Weekend sponsored by the SSA Alumnae Association. I hope that you enjoyed a blessed Christmas holiday with family and friends. We have some exciting things happening at the Academy this spring. Our construction project is well under way. Concrete was poured last week and we still plan for a July completion. 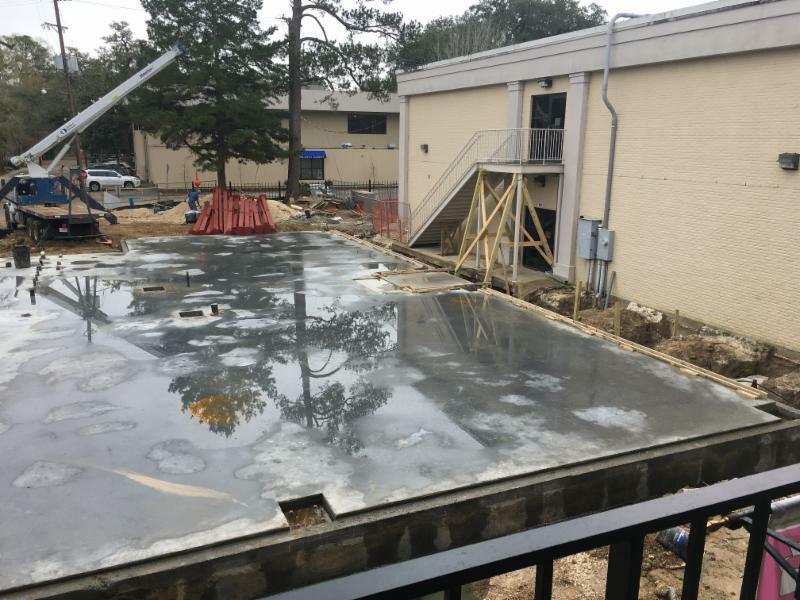 This building will connect to Benedictine Hall and house a broadcast station, multi-media lab, an additional science lab, classrooms and more collaboration spaces for the girls to work in teams. We are so excited about our additional STEM building and know that it will make a great addition to the campus. We enjoyed a very successful Open House in November of last year and will mail acceptance letters to our new doves at the end of this month. We are excited to welcome many new faces to our dove family. Our acadmic efforts continue to shine as we are recognizing more girls each ACT testing period with scores of 30 and above on composite scores as well as sub-test scores. The girls are working hard and it is paying off! Lauren Salles '11 will be inducted on Wednesday, February 6, 2019. College Signing Day is also on Wednesday and we will celebrate 7 seniors who have signed to play a collegiate sport. Please see below for alumnae events planned for the spring. This year an alumnae weekend has been planned for April so that the reunion classes might enjoy a weekend filled with fun activities on and off campus. 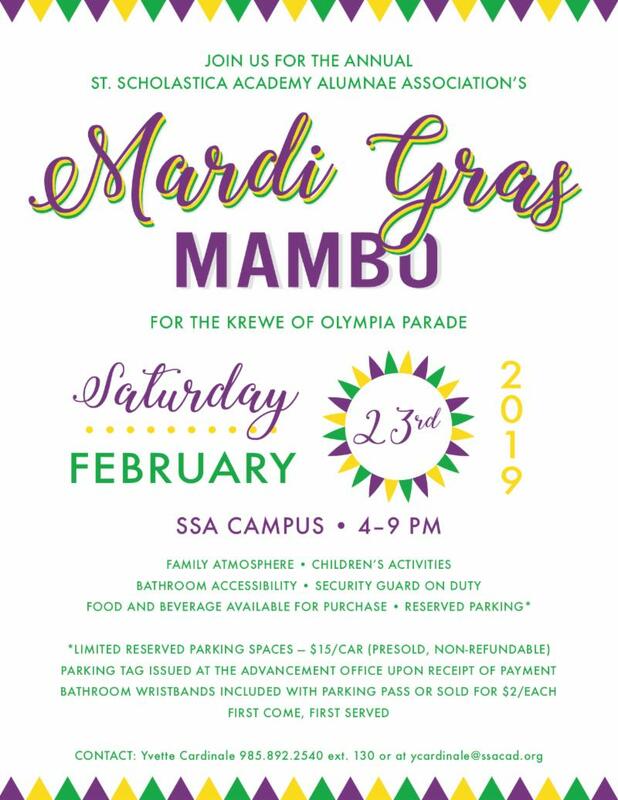 Mardi Gras Mambo is on February 23, 2019. Visit the Advancement Office on campus to purchase your parking pass. Falay Fling is fast approaching! The Alumnae Board has agreed to take on the task of stocking our Alumnae Wine Wheel with wine donations to be used as prizes. If you would like to make a donation, please bring it to the Advancement Office on campus. 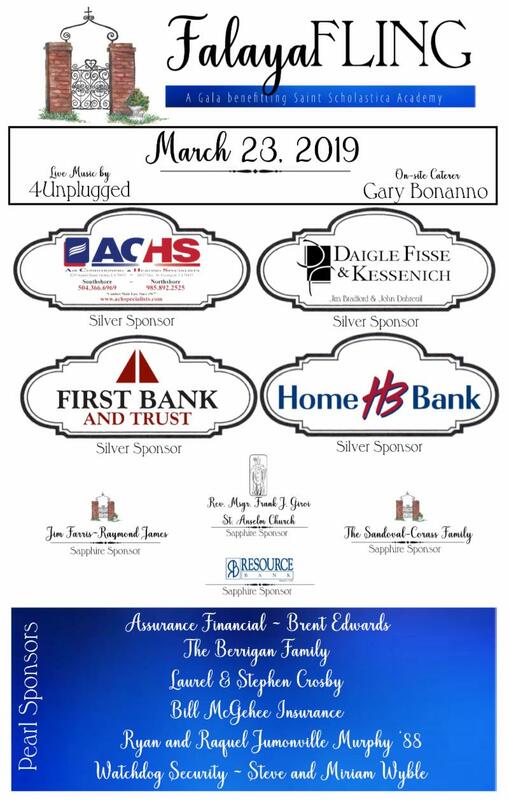 Get your tickets and/or sponsorships at www.ssacad.org . We hope to see you at the Fling! Enjoy your spring and remember to send us your good news - graduations, job changes, marriages, births, etc. We want to hear from you. Send your news to dwallace@ssacad.org . Nominations are all in and an announcement will be made soon. Plan to attend the mass and brunch on Saturday, April 13, 2019. More details to come. SHARE YOUR NEWS WITH CLASSMATES! Thank you to the following alumnae who agreed to participate in Career Day this year.